"Summer Breeze is a fresh quilt with a modern twist. I made it for my daughter's bed, but it could brighten your bed too! 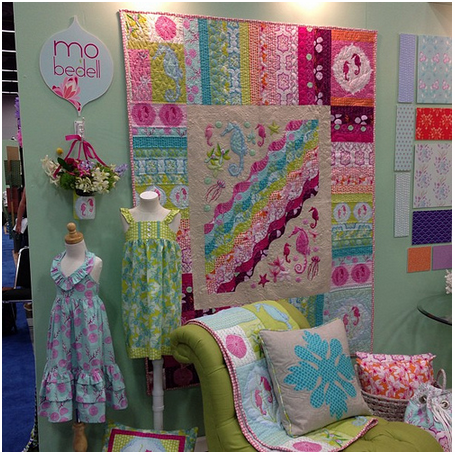 This quilt was made in cooperation with two great artists: Mo Bedell, fabric designer and Krista Withers, modern long-arm quilter. 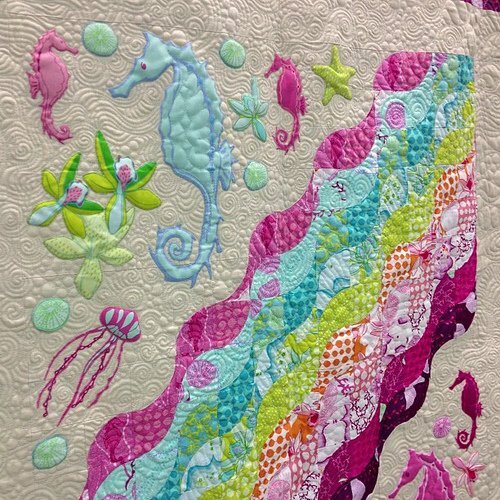 "This quilt is at intermediate level for quilters already familiar with sewing curves. 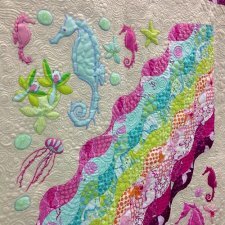 If you are new in sewing curves, I recommend piecing first a few blocks to become confident in this technique (when I was new to this technique, at first I find it quite difficult to learn, but after piecing few blocks, I couldn't stop - it was so fun!)."